Headed by Sandrine Nguyen and Boris Hertzog, Technicolor Animation Productions (TAP) is the production arm of Technicolor’s animation group. 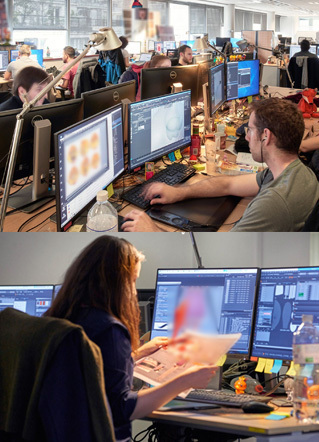 Staffed with over 100 artists, Technicolor Animation Productions has, in three years, produced more than 250 hours of programming broadcast by notable channels including Cartoon Network, Nickelodeon, TF1, France TV, Gulli, M6, Gloob, and Super RTL. Our animated content airs globally, in over 180 countries. The team has a proven track record of bringing fan-favorite characters to screens across the globe, including prestigious properties such as Alvinnn!!! & the Chipmunks (104 x 11) for M6 & Nickelodeon (USA) co-produced by Bagdasarian Productions; Sonic Boom (104 x 11) for Gulli, Canal J and CN (USA) co-produced by SEGA; Mini Wolf, (104 x 7) for France Télévision, and The Legendaires (26 x 22), an adaptation of the famous comic book published by Editions Delcourt for TF1. The next property coming to small screens in October 2017, is the iconic and beloved character Monchhichi. The little doll full of love and memories returns in a dreamy new series (52 x 11) co-produced by T.A.P & TF1 in collaboration with Sekiguchi. Recently, Technicolor Animation Productions announced its two newest projects: the Sly Cooper series (52 x 11), a co-production with Sony Interactive Entertainment based on the iconic video game, and Team DroniX (26x22) a pure original IP coproduced with France TV. Additionally, Technicolor Animation Productions is pursuing its acquisition of audiovisual adaptation rights for licenses and original properties. 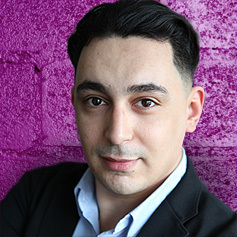 A graduate of Sciences Po Paris (Economics and Finance) with a Master’s degree in business law, Boris worked for over 10 years in the legal profession and financial auditing. He then changed careers by helping to create Attitude Studio, a 3D animation studio, where he was a Board Member and Managing Director in charge of financial and managerial aspects between 2002 and 2006. He was awarded the Entrepreneur Magazine Grand Prize in 2004 and participated in creating the Competitiveness Cluster for Cap Digital in 2006, where he was Vice President in charge of small and medium-sized businesses for two years. 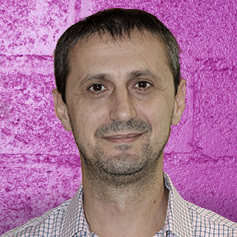 In 2007, he created OuiDO! Entertainment, an audiovisual production company, with Sandrine Nguyen. 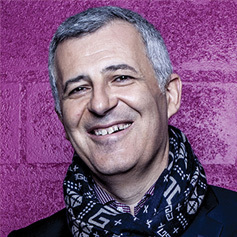 Between 2008 and 2013, he was co-head of Genao Productions and was mainly in charge of setting up co-productions for the series being developed as well as financial, legal and administrative aspects of the company. In 2013, Sandrine and Boris took over the business activity of Genao Productions and created OuiDO! Productions. In 2015, OuiDO! Productions was acquired by Technicolor, thus augmenting Technicolor’s global animation offering and strengthening their role as a worldwide animation production partner. 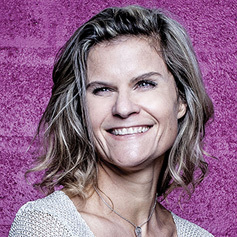 A graduate of the American University of Paris, Sandrine has over 20 years of experience in the audiovisual industry. After eight years with Ex Machina, where she quickly became Senior Vice President, Sandrine took the risk to join a new start-up, Attitude Studio. Under her management, Attitude Studio, an animation production studio, became a worldwide leader thanks to the contracts she initiated and signed with the main players of the entertainment industry, including Disney, Warner Bros., Sony Pictures Animation and Vivendi Games. 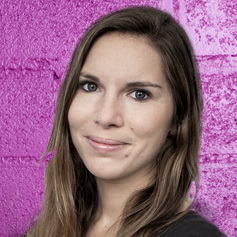 In 2007, Sandrine founded OuiDO! Entertainment with Boris Hertzog, where she developed animated series and film projects. These developments were sold in 2008 to Genao Productions (Lagardère Entertainment) where she took over the management. 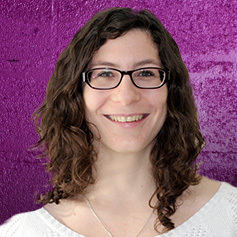 In three years, Sandrine developed and produced seven animated series as Executive Producer and Head of Development. 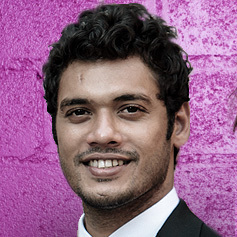 In 2013, Sandrine and Boris took over the business activity of Genao Productions and created OuiDO! Productions. Today, Sandrine oversees all artistic activities of Technicolor’s Animation Productions division, as well as business development by entering into co-production agreements around the world. A graduate from the International School of Pictures and Sound (3IS) where she majored in video editing, Joanna worked as a video editor and production coordinator for TEVA and Toon Factory on various TV series, TV commercials and the feature film “Babar”. 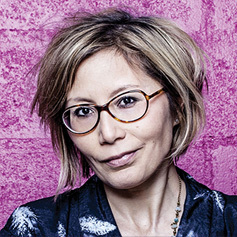 Thanks to her experience overseeing and managing production teams, Moonscoop hired her in 2001 as Director of Productions where she worked on more than 15 TV series, such as “Code Lyoko” and “The Fantastic Four” (Marvel). 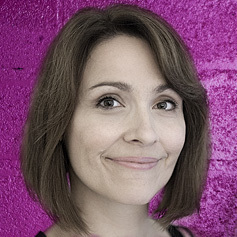 In 2012, she joined Genao Productions as Studio Director where she managed the various ongoing projects as well as the company’s entire technical and artistic team. Today, she continues to handle the same responsibilities with Technicolor Animation Productions. graduated from « Maximilien Vox » and C.F.T Gobelins art school. He started his career as layout man in the Cartoon Industry. Then, he worked on several TV commercials and music videos (Jacques Higelin, Alpha Blondy…) as director and artistic director. He started working for TV channels: he has been Brand Director and Artistic Director for the channel Fox Kids for 5 years (France and Europe). After a quick experience in video games as concept designer, he worked for the French channel Canal J in brand department. For almost 3 years, he has been the graphic author and artistic director on the adapted animated TV series the « Fantastic Four » for Moonscoop /Marvel. After that, he was creative Producer at Phoenix Interactive/Cassiopea and worked as Character Designer for the companies TéléImages. Since 2013, he is the artistic director of Technicolor Animation Productions. 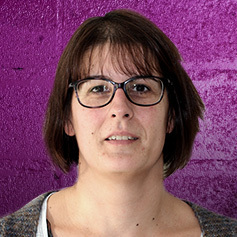 A graduate from the Gobelins Ecole des Métiers de l’Image (school of visual communication), Isabelle held various positions relating to the chain of production of animated series, such as character designer, assistant animation, layout coordinator and storyboard artist, in various production companies including Studio Ellipse. In 1996, Isabelle joined the Paris office of the Canadian company Nelvana as Production Coordinator Europe before being appointed Deputy to the International Vice President in charge of co-productions. She worked on series such as “Babar, Franklin, Rolie Polie Olie”. 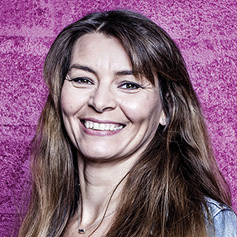 In 2006, Bayard Jeunesse Animation hired her as Executive Producer and Head of Development. She launched “Samsam Season 2” and produced the shorts of “Toto”. 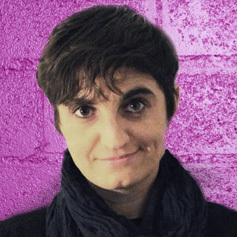 From 2009 to 2014, Isabelle held the position of Artistic Producer at Genao Productions and developed projects in close collaboration with Sandrine Nguyen. She continues to handle the same responsibilities with Technicolor Animation Productions. Between 1996 and 2004, Billy was one of the main hosts of children’s shows. 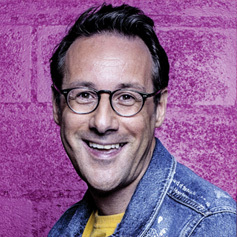 He presented shows such as “Disney Club” on TF1, “Clic et Net” and “Drôles de petits Champions”. In 2000, while continuing to host the musical show “lap lap” on Canal J, Billy began producing the programme “Mission 414”. In 2004, he co-founded Cyber Group Studios and developed and produced several animated series including “Ozie Boo!”, “Manon”, “Les Légendes de Tatonka” and “Zou’”. Meanwhile, he actively participated in the “Pièces Jaunes” Charity alongside Bernadette Chirac and continued to produce and host the Christmas show for the French President every year. (In 2007, Billy was awarded the rank of Chevalier of the French National Order of Merit). Billy is now looking for new trends and IPs at T.A.P Productions. With a Masters in Digital Arts from Pratt, New York, Riash’s first directorial animated venture was nominated at the Student Academy Awards by the Academy of Motion Picture Arts & Sciences. Trained in the field of 2D, 3D, stop-motion and robotics, he possesses a broad working experience in visual effects for film, commercials and character animation on high end animated television shows. 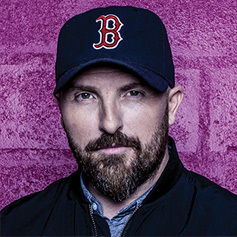 Having performed in multiple roles, he brings a rare combination of production efficiency and technical knowledge with a strong specialization in the field of character animation, having successfully delivered on many animated television series. In his previous tenure, he was instrumental in the recruitment and expansion of a 25-member team to a strong collective of 340+ skilled artists, production staff and technicians. In his current role as Animation Director at Technicolor, he has helped train teams across the globe through conducting animation workshops, defining character personas with directors and setting the creative animation guidelines on shows.